Certificate of facility security clearance — CEPS a.s. Classified information is safe with us. 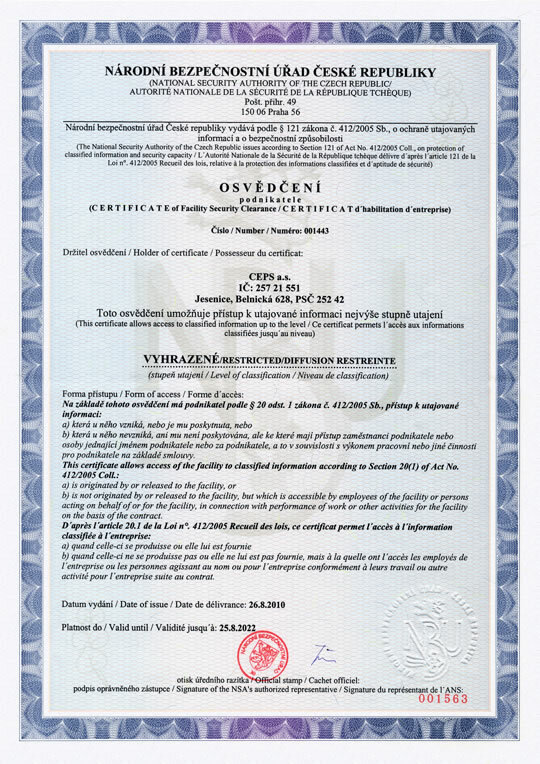 National Security Authority of the Czech Republic issued a certificate to CEPS that it allows access to classified information classification Reserved. b) is not originated by or released to the facility, but which is accessible by employees of the facility or persons acting on behalf of or for the facility, in connection with performance of work or other activities for the facility on the basis of the contract.